Please note: All Troop 68 History documents open in .pdf format. Click here to download the latest Adobe Reader software if you don't have it. 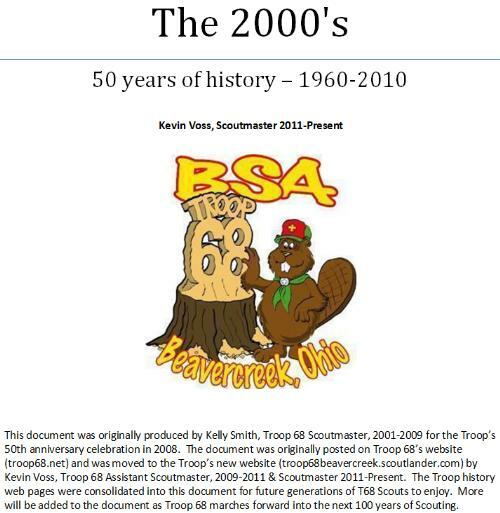 Currently, Troop 68 operates with four Scout Patrols and one Adult Patrol. We will have 40 Scouts registered as of 1 Jan 17. The Patrol Leader for the Mario Bros is Trevor R.
The Patrol Leader for the Spartans is Trevor G.
The Patrol Leader for the Coyotes is Noah B. The Patrol Leader for the Lightnings is Cody G.